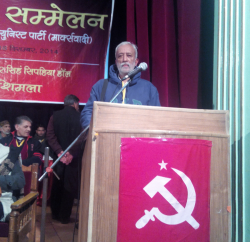 For the forthcoming assembly election, newly formed HLP, struggling CPM, CPI have announced the formation of the Himachal Lokhit Morcha (HLM) with the aim to give third option for the voters. HLP leaders including former ministers Mahinder Singh Sofat and Tikku Thakur, Dr Onkar Shaad from the CPM and Roshan Lal Dogra from the CPI announced it after meeting. While the BJP and the Congress are gearing up for the Assembly poll by holding rallies across the state, the CPM, the CPI and the HLP have forged an alliance under the banner of HLM, which will provide a political alternative to people. The morcha is likely to seek the support of Team Anna. Now this newly formed third front is working on common minimum programme, which will be finalized on its 12 July meeting. 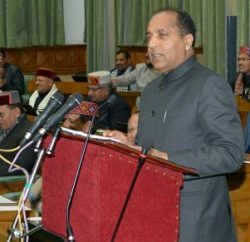 The issue of corruption, price rise and unemployment are likely to figure in the CMP but certain Himachal-specific issues like sale of prime land in the state in violation of Section 118 of the Tenancy and Land Reform Act, setting up of private universities and rampant corruption by ministers in the BJP regime would also be prominently highlighted. 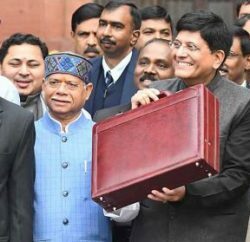 Right now there are only three political parties are under this umbrella, however Bahujan Samaj Party, the Samajwadi Party, the NCP and other political parties can also join hand for the assembly election.